Business activity is fluid. Revenue and expense generating activities are in constant motion. Just because it is time to turn a page on a calendar does not mean that all business activity ceases. But, for purposes of measuring performance, it is necessary to draw a line in the sand of time. A periodicity assumption is made that business activity can be divided into measurement intervals, such as months, quarters, and years. 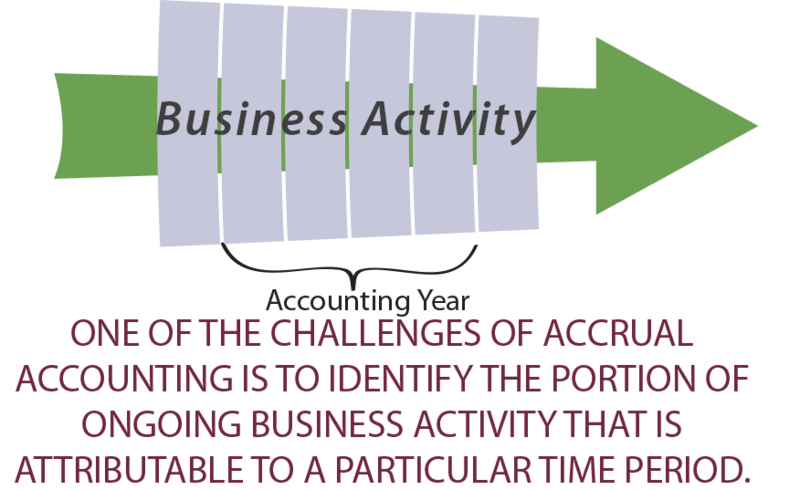 Accounting must divide the continuous business process, and produce periodic reports. An annual reporting period may follow the calendar year by running from January 1 through December 31. Annual periods are usually further divided into quarterly periods containing activity for three months. Also consider that internal reports may be prepared on even more frequent monthly intervals. As a general rule, the more narrowly defined a reporting period, the more challenging it becomes to capture and measure business activity. This results because continuous business activity must be divided and apportioned among periods; the more periods, the more likely that ongoing transactions must be allocated to more than one reporting period. Once a measurement period is adopted, the accountant’s task is to apply the various rules and procedures of generally accepted accounting principles (GAAP) to assign revenues and expenses to the reporting period. This process is called accrual basis accounting. Accrue means to come about as a natural growth or increase. Thus, accrual-basis accounting is reflective of measuring revenues as earned and expenses as incurred. Correctly assigning revenues and expenses to time periods is pivotal in the determination of income. It goes without saying that reported income is of great concern to investors and creditors, and its proper determination is crucial. Measurement issues can become complex. For example, if a software company sells a product for $25,000 (in year 20X1), and agrees to provide updates at no cost to the customer for 20X2 and 20X3, then how much revenue is “earned” in 20X1, 20X2, and 20X3? Such questions make accounting far more challenging than most realize. Suffice it to say that one would need more information about the software company to answer their specific question. But, there are basic rules about revenue and expense recognition that should be understood, and they will be introduced in following sections. Before moving away from the periodicity assumption, and its accounting implications, there is one important factor to note. If accounting did not require periodic measurement, and instead, took the view that one could report only at the end of a process, measurement would be easy. For example, if the software company were to report income for the three-year period 20X1 through 20X3, then revenue of $25,000 would be easy to measure. It is the periodicity assumption that muddies the water. Why not just wait? Two reasons: first, one might wait a long time for activities to close and become measurable with certainty, and second, investors cannot wait long periods of time before learning how a business is doing. Timeliness of data is critical to its relevance for decision making. Therefore, procedures and assumptions are needed to produce timely data, and that is why the periodicity assumption is put in play. Define the periodicity assumption, and know its importance in income measurement. 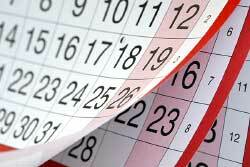 What is a fiscal year versus a calendar year? Understand the nature and conceptual importance of the “accrual” basis of accounting.